The start of a new college year is an exciting time in Tallahassee. The anticipated return of college co-eds, cool fall weather, and football season ushers in an enthusiastic energy that's contagious. 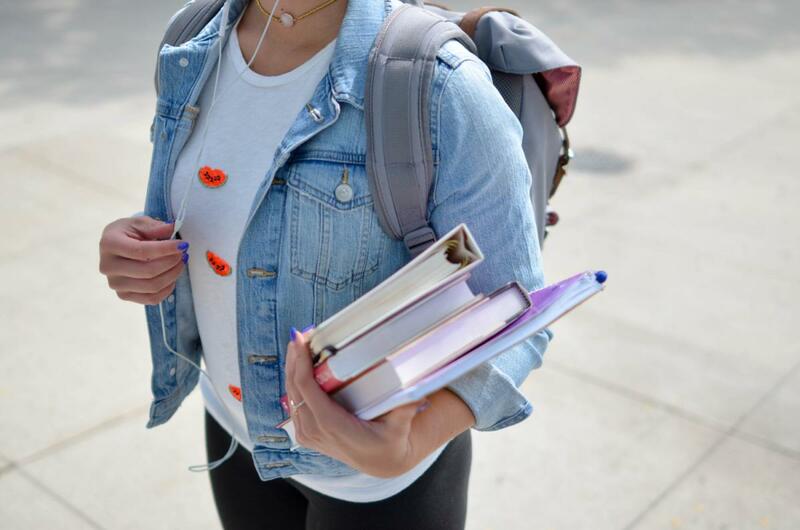 Whether you're a die-hard Florida State University Seminole or an A&M University Rattlesnake, going back to college is a a thrilling but busy time. With a flurry of tasks like moving in and unpacking, buying books and supplies, registering for classes, and meeting new roommates, it can overwhelm even the mightiest warrior. And then there's your budget, a constant reminder that some of the best things in life are not truly free. It can seem like your budget is dictating your life in the background. But what if you could take a bite out of your budget, hold on to more for your money, and do more of the things you love to do? Great news, Tallahassee students! You can cash in here on deals with local businesses and national name brands that offer student discounts in Tallahassee. It's so easy, you can start saving today! Florida State University students can save at Corporate Shopping where FSU is listed along with over 100 Top Universities eligible for select student discounts. Save on electronics, apparel, entertainment, home and finance, sports, and much more. Everyone loves going to the bookstore to get their favorite FSU apparel, books, knick-knacks, and office supplies. You can also get the additional savings you want there, too. At Florida State University, alumni savings are also available. FSU graduates can check out the alumni page for deals that benefit Seminoles long after their college days. Find housing deals and discounts to help you land the perfect college dwelling place without breaking the budget. You can check out these real-time campus and housing listings with pictures and convenient price comparisons attached. The savings don't have to end after graduation, either. Travel discounts for A&M alumni are listed here on the Florida A & M University website. These car rental and airline ticket discounts will keep your travel expenses from soaring too high. Getting around town with the Star Metro bus pass discount is the smart way to go to class, the mall, or your favorite restaurant. You can also find great deals for students at the Tallahassee Community College Bookstore. Additional items include collegiate apparel, and home and office products. All students can find savings at Student Rate and shop national brands for discounts, coupons, and cash back offers. More than 250 name brand items are discounted for you in stores like Walmart, Target, Bed Bath & Beyond, Costco, and T Mobile. Student Universe is mainly geared for travel savings to help students take an affordable trip home, a weekend excursion, or spring break vacation. However, you can also find a variety of educational products that are sure to come in handy with Student Universe at Shop.com. For additional savings around Tallahassee, you can find discounts for A&M students like $10.00 Tuesday haircuts for men at Cuts by Us, an $80.00 one-room moving special with Big Red's Moving Services, and a $50.00 student discount through DIRECTV. You can also stop by Shane's Rib Shack for a discount on a mouth-watering meal. Find even more local deals on Student Rate for restaurants, auto repair shops, body shops, theater, hair salons, and much more! With all of these student discounts in Tallahassee, you can get everything you need at the right price and keep your budget off your back. For more education news in Tallahassee, register on 850area and connect to everything the Tallahassee area has to offer.